Melted, ooey, gooey, paleo goodness that will bring a smile to your face and tummy. I’m a dessert gal. Dinner really isn’t over until I’ve checked my “dessert” box. My repertoire for healthy/paleo desserts typically involves just fresh fruit with nuts. If I’m feeling extra creative, I’ll whip up a cobbler of some sort (peach and cherry are my favorite). This Baked Almond Butter Banana is incredibly simple but, I believe, is just as fulfilling as a warm gooey brownie fresh from the oven. And that's really saying a lot because I also take my brownies VERY seriously around here. 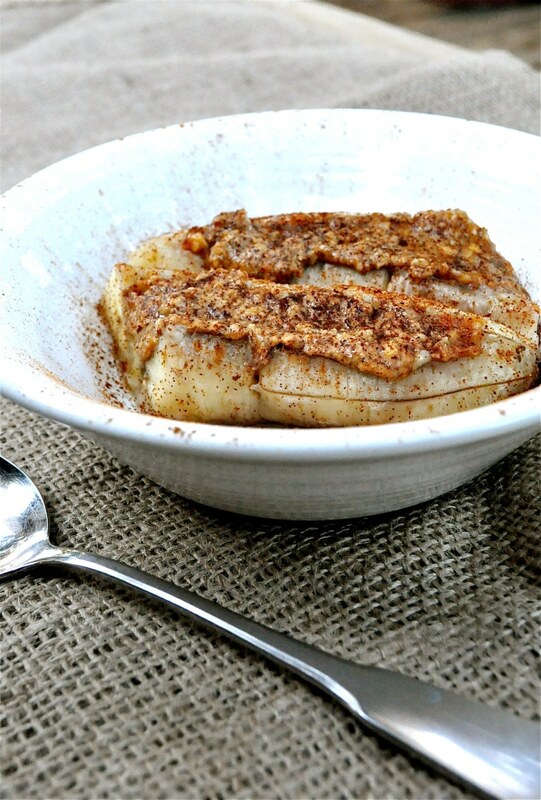 When you’re craving fresh baked goods, all you need is 15 minutes and this healthy baked almond butter banana will hit the spot. I promise. You won't be left with a sugar hangover or feeling too stuffed to move either. It's quite literally, the perfect dessert in my book. You could even jazz it up with a handful of dairy-free chocolate chips if you want! 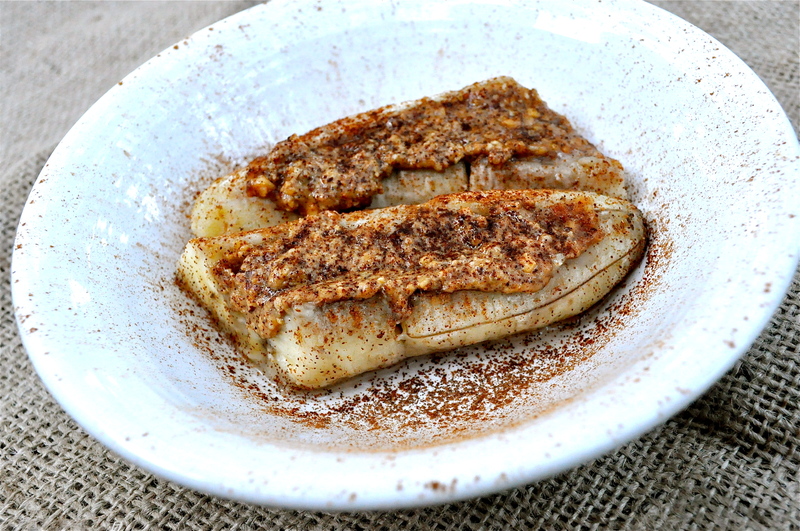 3 ingredients: banana, almond butter, and cinnamon. That’s it! Also, after much recipe testing, we've also found that you can make these little bad boys in a casserole dish just as effectively. 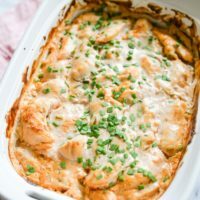 Just layer your bananas, top them with the remaining ingredients, and secure foil over the top of your dish, then bake as directed for another variation of simple and crowd pleasing. This dessert also makes for GREAT campout food. Prepare the same way identified below and then roast on your fire. You can spoon the melted goodness right from the aluminum foil. 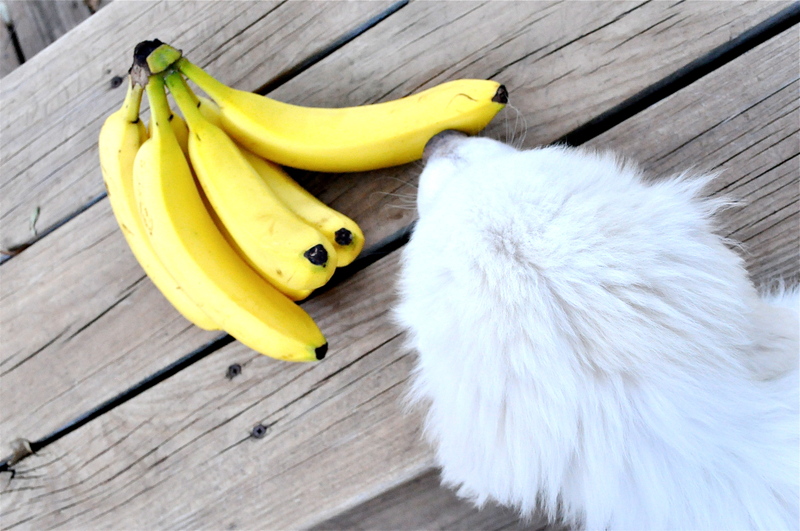 Note: If you’re looking for a 100-calorie treat, split the banana with a friend! Now, if you’re like me, you’re just going go back and make another one. But hey! You have to start somewhere. Wrap completely in aluminum foil. Remove from oven and let cool for 1-2 minutes (or until it’s cool enough to handle). Unwrap and either eat directly from the foil or move to a plate. Awesome! I love banana and almond butter as it is, but baked sounds like it takes this treat whole new level. Thanks for sharing — I’ll be sure to try this! My pleasure! Hope you love it. This, too, was absolutely divine! I will never miss dessert again after this! YUMMY! Awesome! I hope you loved it. This was so awesome! 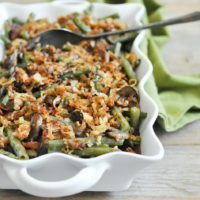 I found myself thinking of all the different meals I could make this for myself and the kids. I sprinkled some bacon on top and was in heaven. I JUST made this and it’s DELICIOUS!!! This quickly has turned into my go-to dessert. Thank you for sharing!! 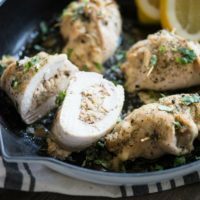 Actually I was quite disappointed with this recipe 🙁 It looks and sounds so good. I followed the directions to a tee and when I took the banana out, It was watery and really mushy.. not appealing at all. The texture was not what I was expecting. Maybe there is something that I did wrong but I did not find this to be good at all. If there are any pointers or tips I will definitely try and make this again. Hi Alex! 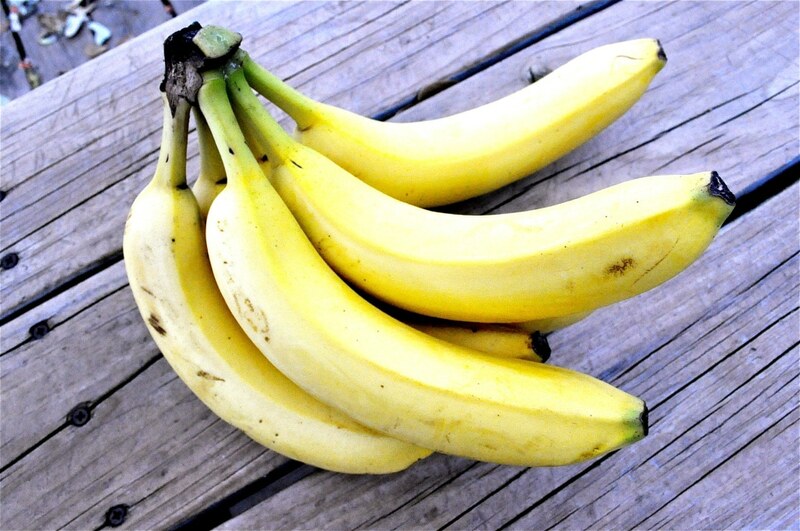 When you bake the banana it will definitely turn soft and will not be the same consistency. You could try to not bake it as long if you wanted a more firm consistency and just warmed through. Frozen banana chunks are also really delicious with almond butter if you don’t want something warm. Hope the helps! I knew this would taste good, but it was even better than I anticipated! Thanks for posting this! Thanks for trying it Sarah and so glad you enjoyed it! Silly question…. But do you peel the banana first? 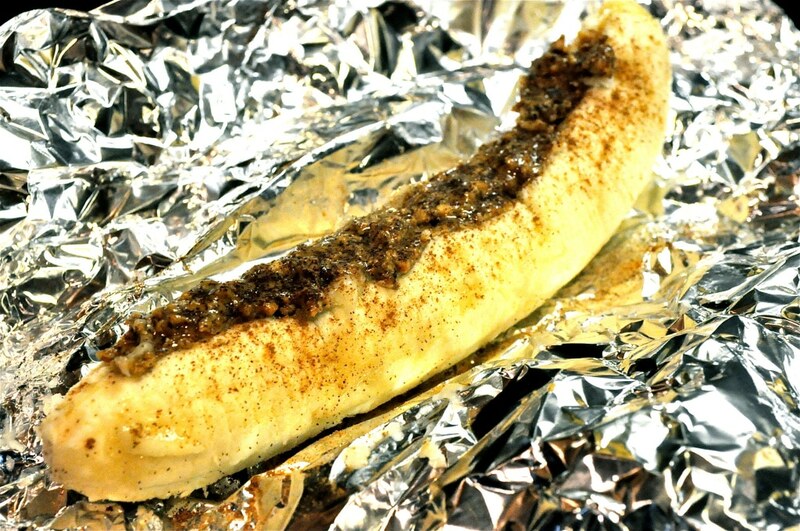 I’ve never made baked bananas but this sounds delicious! Hi Kathryn, yes peel the banana first and then wrap it in the foil. Hope you like them!! Yay, we love to hear that. 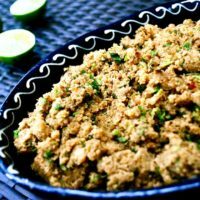 Cashew butter sounds dreamy!! Thanks Anna-Lynne! Wow what a simple and delicious treat! I often want to make desserts but don’t want to put in the effort after a long day at work so this is just perfect for me! Totally agree Nicole! So much easier than baking cookies and then you have them sitting around for a few days. Thanks for trying it and glad you enjoyed it!! After I heated it I cut it up and put it in a bowl of unsweetened vanilla milk. Do you think this would work if I put a bunch of peeled and almond-buttered bananas in a baking dish and covered them with foil to bake? It’s so good! I was skeptical at first but it definitely solves my sweets craving. I also drizzled a little teeny bit of honey on top. Thanks for the recipe! Glad you liked it, June! Is the foil a necessity? Will it come out just as nicely in a baking dish? 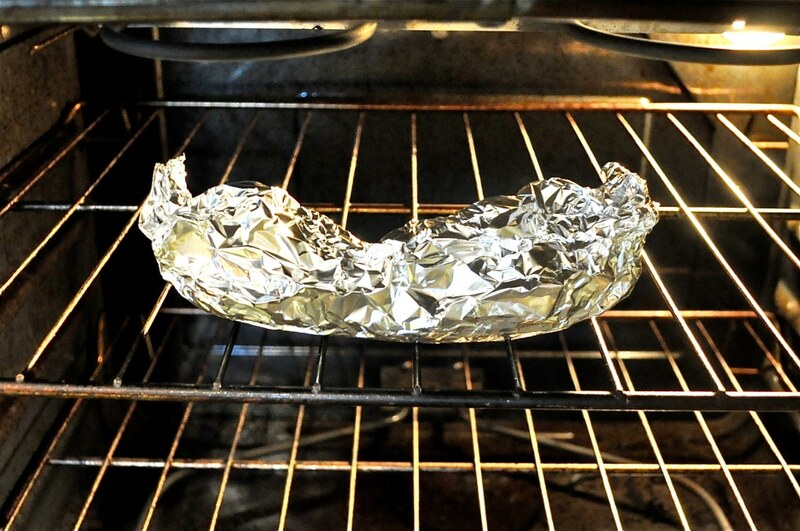 You can bake without the foil!